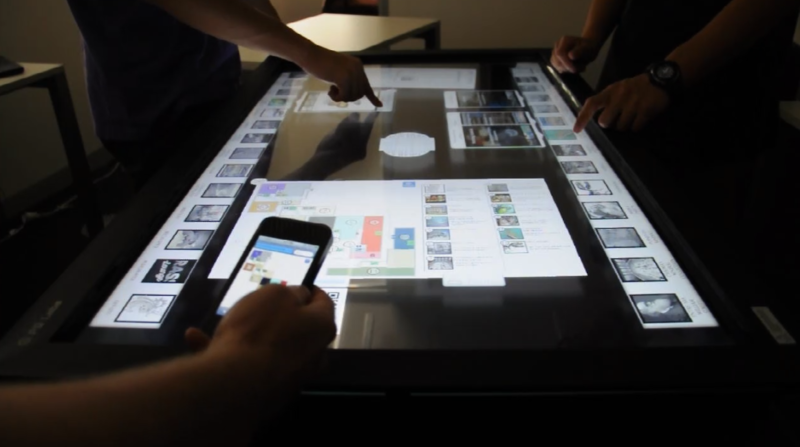 The Computer Human Adapter Interaction Lab (CHAI), as part of Smart Services CRC, was contacted by the Australian Museum to design multi-user touch table experiences. The design for a Visit Planning Kiosk was developed following a series of ethnographic studies to the Australian Museum. During this time, a preliminary two-minute features proposal video for the Kiosk was also produced (No Audio). The multitouch table application was coded in the Cruiser Multitouch Operating System in C++, with assets created in the Adobe Suite and procedurally. Many thanks to Anthony Collins of Cruiser Interactive who was a great mentor. Also to friends and colleagues whom were working on their own applications and algorithms but were always keen on insightful and miscellaneous chats: Peter Ward, Cameron Silvestrini, Adam Gawronski and George Zhang.